We are a general contracting company specializing in all types of residential and commercial projects. We offer full service, licensed contracting with the philosophy that your project is as important to us, as it is to you. We strive to provide you with the best service possible. Our dedicated, capable, and pleasant work crew uses state of the art equipment, and has years of hands-on experience. Give us a call today for a free estimate - "you'll whistle while we work!" Having trouble visioning what you want your project to look like? 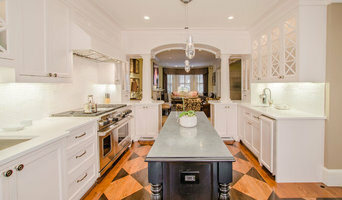 Bring TruDesign in to help you create the kitchen, room, or house of your dreams. While we specialize in kitchen remodels, we have the knowledge and the team to handle any project and make it a reality. TruDesign prides itself on craftsmanship. We want to build an end product that is safe, healthy, energy efficient and comfortable for you and your family. Our founder, Steve graduated from the University of Massachusetts Amherst with a B.S. in Civil Engineering. From there he became a project manager for a general contractor, managing municipal and state projects up to $3M. Additionally, he worked for a development company building a renovating homes on the South Shore. 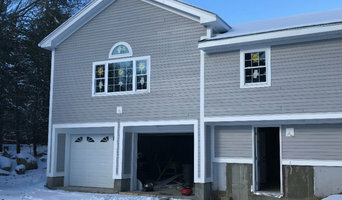 A.A. Tofani Construction Co, Inc.
Based in Holliston, MA, Mark and The Team at Archambault Construction specialize in New Custom Homes, Home Additions, Home Remodels, Home Renovations and Home Maintenance services for discerning New England homeowners. Our service area includes most of Metrowest Boston, and some towns in surrounding counties. Our commitment to service excellence is reflected in the pledge we make to our clients and to each other to provide the highest level of custom home building and home renovation services. We deliver outstanding value to our clients by promising to actively listen and learn about your unique home design needs. Our goal is to exceed your expectations, and because of our 30-year track record of success, have formed long-term partnerships and friendships with our clients. Maintaining best in class expertise in custom home building and home renovation practices prepares us to meet our client’s home planning, development and maintenance needs. With over 35 years of custom homebuilding and renovation experience, Kistler & Knapp Builders, Inc. has grown to be one of the most highly regarded construction firms in the greater Boston area. Much of our work reflects the most demanding architectural concepts; all of our work reflects the finest in craftsmanship and an unparalleled open book accounting process. New Homes, Renovations, Additions, Historic Restorations. Wagner Development specializes in all aspects of interior and exterior design and remodeling on residential and commercial projects. 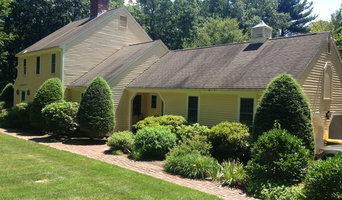 We have been building, restoring and renovating fine homes throughout New England since 1981. We bring to your project a process that marries your unique vision and imagination with our experience, expertise, and artisanship. We work closely with clients and their design teams to ensure that every project runs smoothly from start to finish. If your project is in a historic district we will appear before the appropriate commission to get their blessing. If your project is in a managed building we work with the board of trustees to win the permission to proceed. In order to ensure that our project is a good neighbor to your future and/or current neighbors, we have adopted rigorous protocols to manage on-site health and safety, dust, and environmental protection. We want your project to be as fun and as stress-free for you as possible! As a design/build collaborative, Good Life New England works with homeowners in helping them fully realize the highest level of enjoyment of their homes. Our collaborative process with each of our clients in completely unique because no two people share the same view on what their home should be. Out of thoughtful collaboration comes thoughtful design. And out of thoughtful design comes a home with optimal functionality and exceptional beauty. Good Life New England also collaborates with the myriad of building industry professionals needed for the successful completion of a home-building or renovation project. While your project is underway, we’ll be taking care of the details while you take care of life. 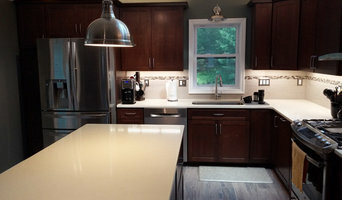 DRM Design-Build, Inc. is a full-service, award-winning contractor providing remodeling solutions that deliver increased property value and superior living satisfaction to homeowners in the western suburbs of Greater Boston. Every time DRM President, David Morgan, meets with a new client about his or her remodeling needs, he continues a twenty five year tradition of quality, value and ultimate homeowner satisfaction. Scores of happy homeowners eagerly recommend David to neighbors and co-workers, whether it is to finally replace a poor kitchen design that a couple has been enduring for years, renovating an heirloom historic property with new functionality that retains period detailing, or adding new space for a growing family. Unlike new construction, David understands first and foremost that residential remodeling is a service business; nothing could be more personal than having a team of workers in your home while you are living there, and his team goes to extraordinary lengths to make the experience a positive one, with the least disruption possible. By David’s taking full responsibility for every aspect from start to finish, projects are completed efficiently and cost effectively, and busy homeowners have direct and daily access to just one point of contact throughout. D.R.M. focuses on conservation and ensuring that his clients are satisfied with their homes. Home remodeling contractors are a must for successful completion of a renovation. Because of this, it's essential that you do your homework before deciding on the right general contractor in Hudson as you remodel or build a house. Inspect bids carefully. Was it ready when the contractor promised it? Was the bid for building a home unusually high or low? Each of these things can be very telling: A late bid may reflect timing standards, and an off-the-mark bid could be code for a pricey premium or a deliberate underbid to score the remodeling job. You should call references, carefully read reviews and visit completed projects in Hudson, MA to see if they’re what you expect for your job. Once you do secure your local Hudson contractors, read the contract very carefully to be sure everyone is on the same page. Find a Hudson contractor on Houzz. Narrow your search in the Professionals section of the website to Hudson, MA home contractors. You can also search for photos in Hudson, MA and contact the Hudson general contractor who worked on the project.